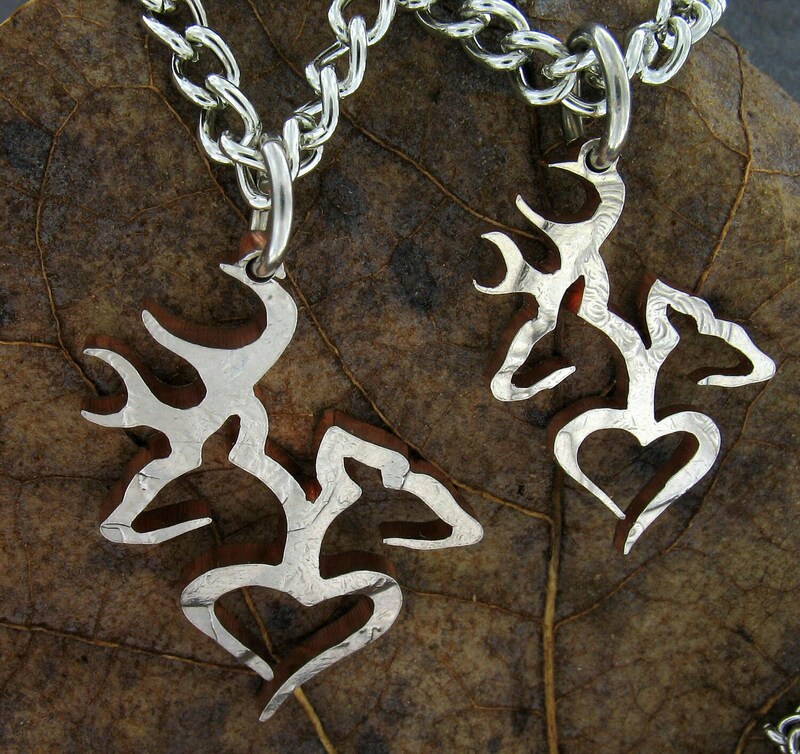 This is a beautiful country necklace featuring a buck and doe couple. 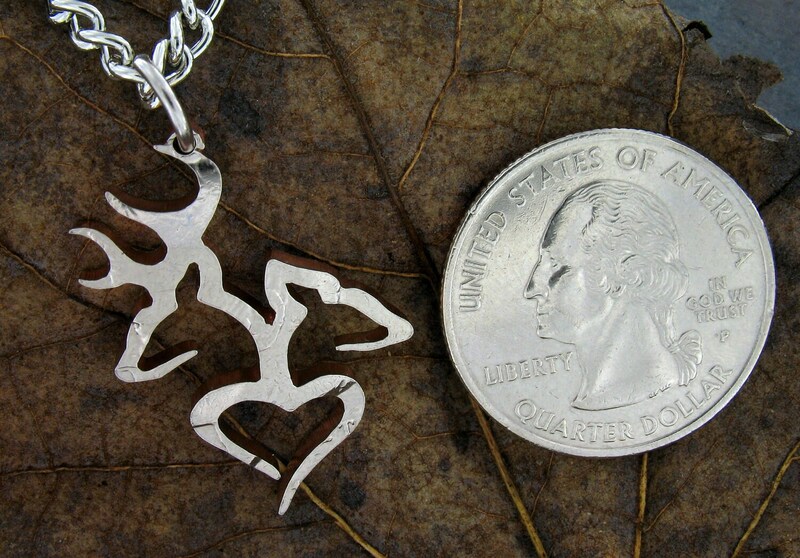 All of our work is cut by hand as can be seen by the love put into forming heart below the pair. The particular picture featured shows this design cut from a half dollar. The second picture shows the size comparison with a modern quarter. 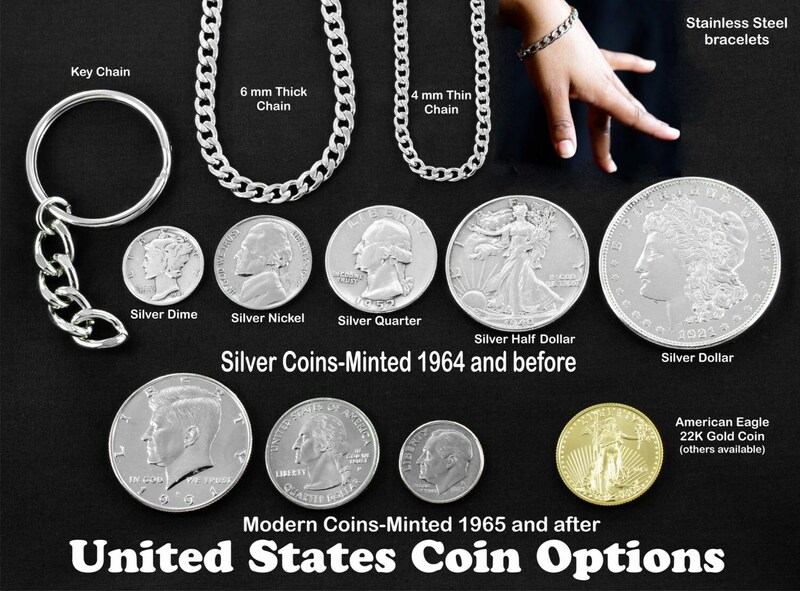 The third picture shows a size comparison between this design from a half dollar (left) and a modern quarter (right). 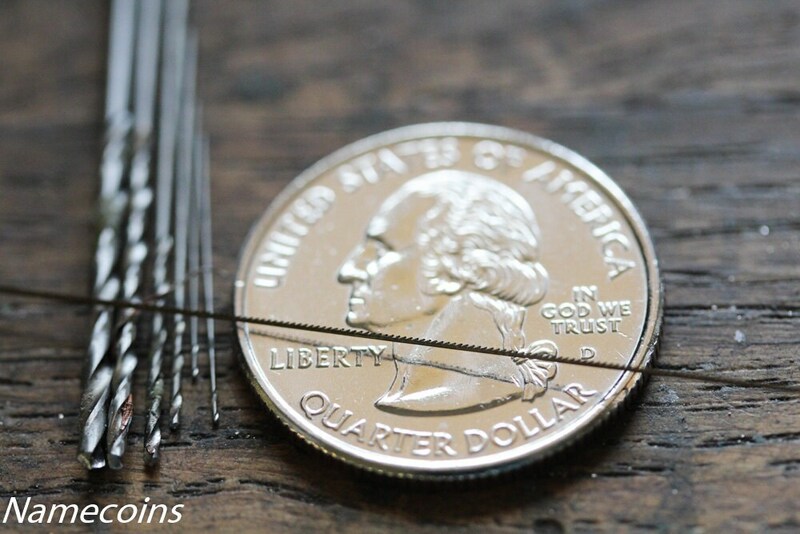 The final picture shows the size difference in thickness for the available quality stainless steel chains we offer. Happy shopping! Remember, you can always message us through Etsy for new and cool ideas you haven't seen yet! She loved it, its a good buy!! My son bought this for his girlfriend, it's very cute. The perfect size and it's cool knowing it came from a quarter. 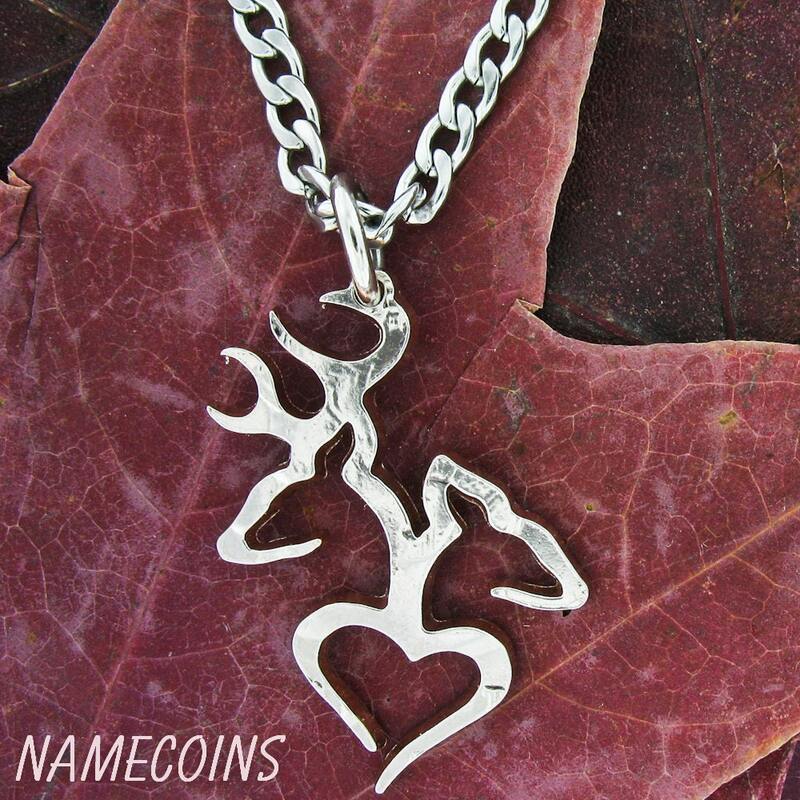 The buck doe heart love coin is beautiful and unique. We purchased it in the silver quarter. It arrived before Christmas much sooner than expected. We would definitely buy from them again. Came in right on time, no delays at all. It is a very beautiful piece that my fiancé absolutely loves. I definitely look forward to buying again.